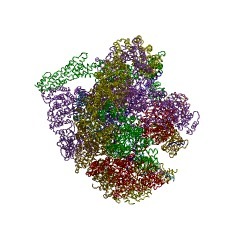 Proteins containing this domain are checkpoint proteins involved in cell division. 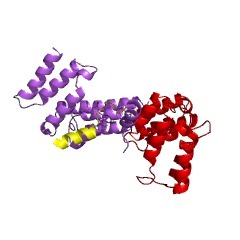 This region has been shown to be essential for the binding of the binding of BUB1 and MAD3 to CDC20p. 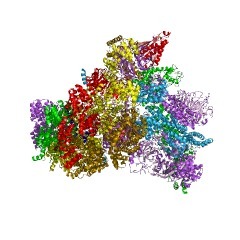 Proteins containing this domain are checkpoint proteins involved in cell division. 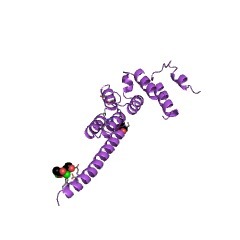 This region has been shown to be essential for the binding of Bub1 and Mad3 to Cdc20 [(PUBMED:10704439)]. There are 2311 Mad3_BUB1_I domains in 2307 proteins in SMART's nrdb database. Taxonomic distribution of proteins containing Mad3_BUB1_I domain. This tree includes only several representative species. The complete taxonomic breakdown of all proteins with Mad3_BUB1_I domain is also avaliable. Click on the protein counts, or double click on taxonomic names to display all proteins containing Mad3_BUB1_I domain in the selected taxonomic class. 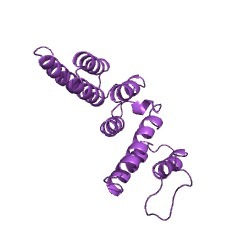 MAD3 encodes a novel component of the spindle checkpoint which interacts with Bub3p, Cdc20p, and Mad2p. We show that MAD3 encodes a novel 58-kD nuclear protein which is not essential for viability, but is an integral component of the spindle checkpoint in budding yeast. Sequence analysis reveals two regions of Mad3p that are 46 and 47% identical to sequences in the NH(2)-terminal region of the budding yeast Bub1 protein kinase. 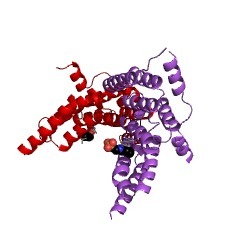 Bub1p is known to bind Bub3p (Roberts et al. 1994) and we use two-hybrid assays and coimmunoprecipitation experiments to show that Mad3p can also bind to Bub3p. 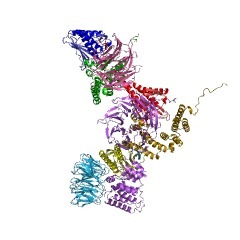 In addition, we find that Mad3p interacts with Mad2p and the cell cycle regulator Cdc20p. We show that the two regions of homology between Mad3p and Bub1p are crucial for these interactions and identify loss of function mutations within each domain of Mad3p. We discuss roles for Mad3p and its interactions with other spindle checkpoint proteins and with Cdc20p, the target of the checkpoint. This information is based on mapping of SMART genomic protein database to KEGG orthologous groups. 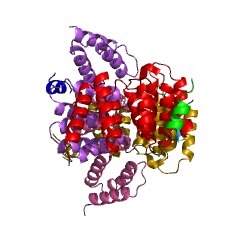 Percentage points are related to the number of proteins with Mad3_BUB1_I domain which could be assigned to a KEGG orthologous group, and not all proteins containing Mad3_BUB1_I domain. Please note that proteins can be included in multiple pathways, ie. the numbers above will not always add up to 100%.